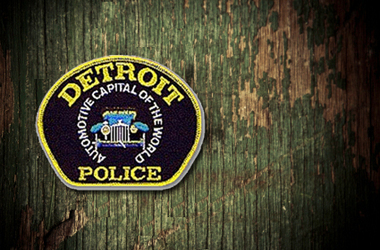 More than half of Detroit’s 3,000 police officers currently live in the suburbs. In 1999, the Michigan state legislature lifted a law that required cops serving in the city to live in the city, and the ensuing exodus has been dubbed the “Blue Flight.” But yesterday, one police officer announced that he was swimming against the tide by moving back into the city. Officer William Booker-Riggs’ decision was spurred by Mayor Dave Bing’s new incentive program, “Project 14,” which offers vacant homes in four city neighborhoods to police officers at bargain-basement rates. The neighborhoods all have a large number of empty, inhabitable homes in desperate need of some tender-loving repair. Officers can purchase the homes from Detroit’s Land Bank for as little as $1,000 down, and are eligible for $150,000 renovation grants. The $30 million project is named after a police code that is used to signal a return to normal operations, and the tagline of the project is, fittingly, “Live where you protect and serve.” Bing announced that he intends to use a combination of federal stimulus dollars and private funds to finance the project, which would include mortgage relief as well as stipends for renovation. So far, “Project 14″ has generated less interest than similar incentive programs like “Live Midtown,” which targeted suburban commuters. The mayor says that some 200 officers have “expressed interest” in the program – but fewer than 14 have actually signed up to date. Many are hoping that Officer Briggs’ decision inspires other officers to consider the reverse flight. However, critics of the program argue that police officers with families can ill afford to live in a city that lacks good services like strong public schools and, ironically, reliable emergency services.